Thats a hell of a buck! 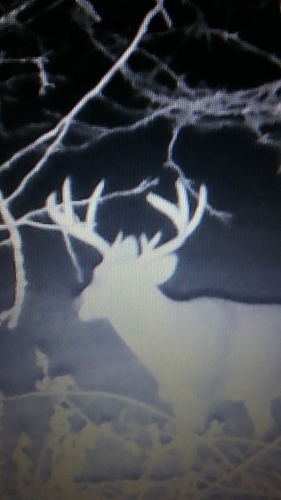 he would definitely be on my hit list! Crab claws and venison.... Its the stuff dreams are made of! So its been awhile since i posted however i got oit for a quick hunt behind my house saturday before last and saw the first chasing i saw of the year by a small buck chasing 2 does up the hill by me and then a bit later i saw the 9 point coming dirrectly at my stand across the field. He made it to about 50 yards and then a doe that had been near me walked into the field and he chased her into the swamp. Wow great deer and story. Great job staying on the track and putting him down! 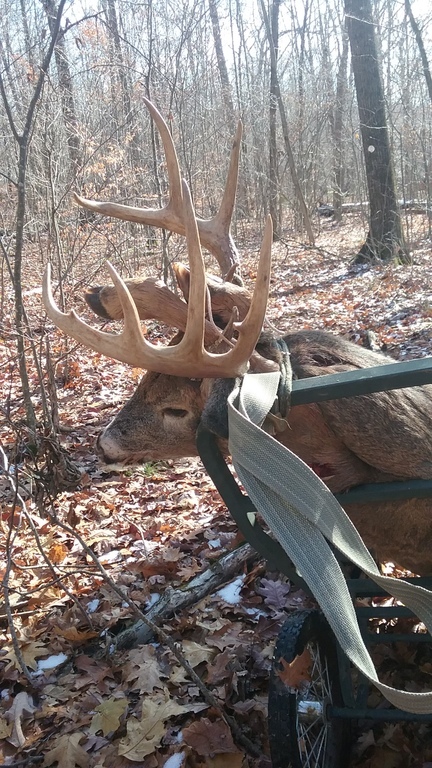 Awesome story, and congrats on a great buck! Thanks for sharing. Great reading; it inspires me for the coming three day last haul. My buddy Bill is up from Boston through Sunday to chase whitetail, with maybe an out one evening for duck--if anybody has recent guidance on ducks, shoot me a pm, please...I'm out of the loop recently. 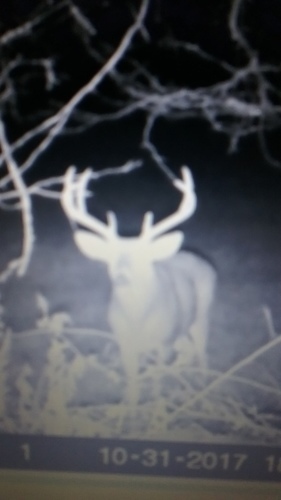 Honestly, I wish he'd been here ten days ago when there were deer everywhere, I haven't seen as much since last week, but there's lots of standing corn and the big boys were tending doe in it this weekend. They've got to find new dance partners soon. Maybe today's the day. 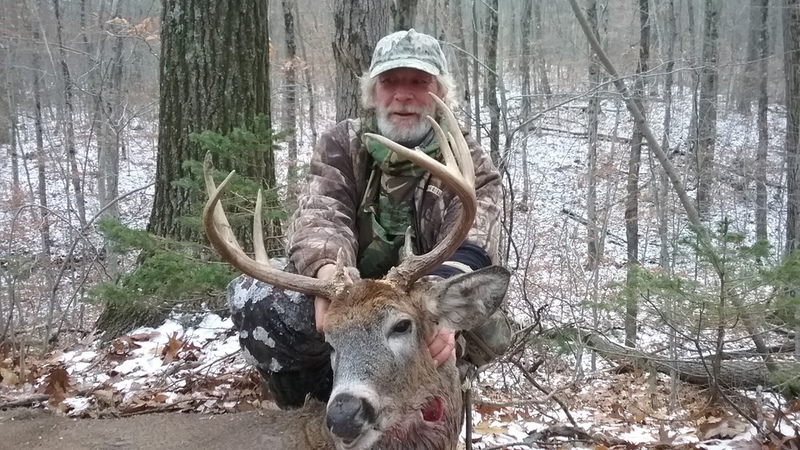 Very cool story and great buck for your Dad! Well done gentlemen!